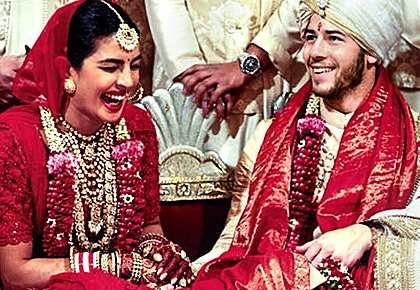 Now we know no pix of the Priyanka-Nick weddings were posted on Instagram! 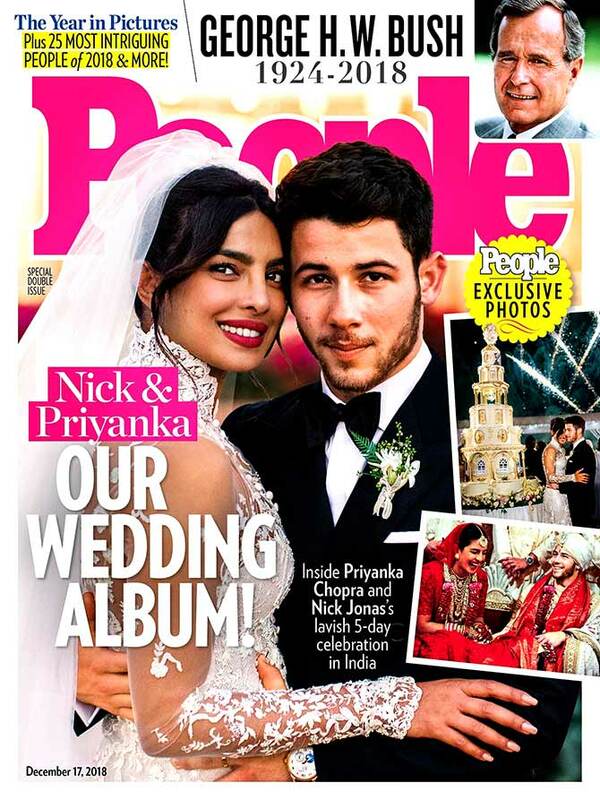 If you want to see Priyanka Chopra looking amazingly beautiful in her white wedding to Nick Jonas, you'll have to grab a copy of the latest issue of People magazine. People features a lovely wedding album of the couple which also includes their look from their Hindu wedding. 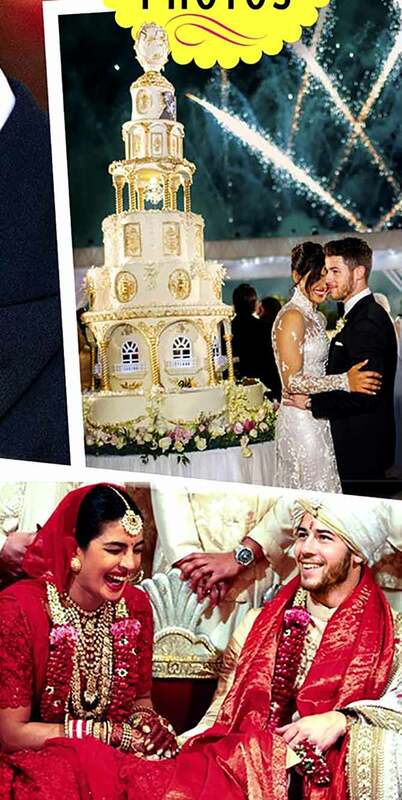 Priyanka and Nick seem to have entered into an exclusive arrangement with People, which is why though the couple posted Instapix of the mehendi and sangeet, they went all dark with pix from their weddings. And who can quibble with Priyanka's decision? After all, which Indian has ever had her/his wedding on the cover of the iconic magazine? Priyanka's wedding pix even pushed the late American president George Herbert Walker Bush to a highlight on the People cover when ordinarily, it would have been the cover story. It was a fairytale wedding for Priyanka and she looked like a princess in white with a 75-feet veil! Celebrated designer Ralph Lauren, who rarely designs wedding outfits, went out of his way to design for the couple. Ralph is fond of Priyanka and the actress was a stellar attraction at the recent 50 Years of Ralph Lauren event. Ralph Lauren also designed the outfits for PeeCee and Nick at the 2017 Met Gala where their love story began. For the Hindu wedding, Priyanka wore a custom made Sabyasachi red lehenga with Nick complementing her beautifully in a hand-quilted silk sherwani. And folks, if you think People magazine's coverage is all, you don't know what Vogue has planned. The folks at Vogue assigned Annie Leibovitz no less -- the finest portrait photographer of our time -- to shoot Priyanka and Nick for the Vogue cover! Priyanka Chopra: Here comes the bride! What are Priyanka's plans after her wedding? When Priyanka-Nick danced and danced!